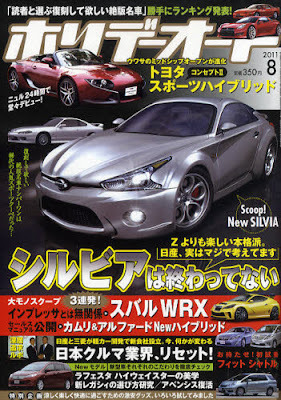 We already know that Nissan is working on a Fairlady Z successor, which is expected to hit the markets in 2013 (earlier post), but it appears also that a new Silvia is on the cards. Is this Nissan's answer to the highly anticipated Toyota/Subaru FT-86...? I really hope that Japanese manufacturers come back from the dead and start producing models like that again.